Islander Charters commitment to safety is of the utmost importance because it is the foundation of our business. Our Cage & Dive Gear holds a 100% safety record with zero cage incidents. It’s virtually unique at the Island. This perfect safety record is a direct reflection of our attention to detail and expertise in handling Great White Sharks, and due to quality of our operation. 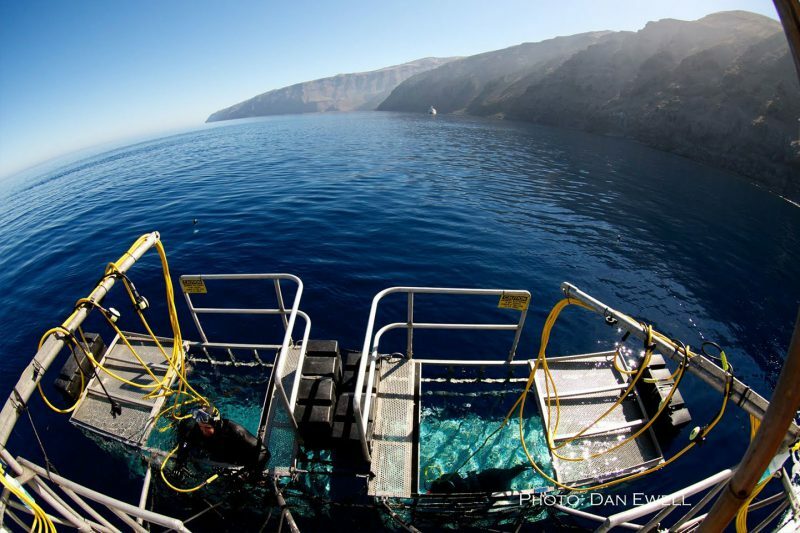 Islander’s custom shark cages are specifically designed for cage diving at Guadalupe Island. Our shark cages are a proprietary design and meticulously welded with superior materials and techniques. All fabrication has been done by Travis Thomas, senior welder for the Marine Science Development Center at Scripps Institute of Oceanography here in San Diego. Our shark cages are constructed of 6061 T6 aluminum alloy. They are the only cages at Guadalupe Island that are hand TIG welded, not to be confused with the weaker, faster technique of MIG welding. 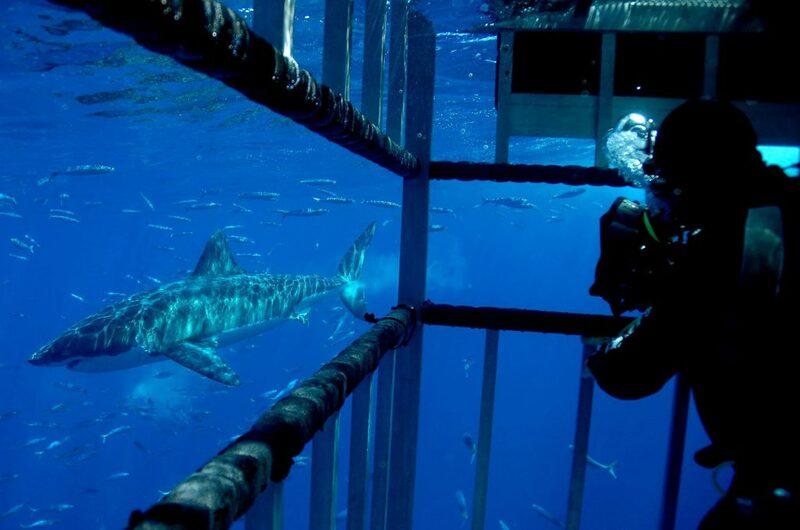 Simply put, Islander Charters has the strongest, safest Great White Shark cages at Guadalupe Island. Every aspect of our Cage & Dive Gear equipment has been designed with shark diver safety and comfort in mind. The wrap-around handrails surround entry and exit hatches to ensure safe and easy water entry. In addition to the large entry hatches, we have proactively planned for worst-case scenarios by building alternate exits on the outboard sides of the shark cages. These exits are designed not to jam shut even during the worst collision with a Great White Shark. We’ve also put careful consideration into the window height by positioning viewing windows at optimal height for photographers. This allows them to have knees bent for stability while still having camera housings at eye level to get that shot of a lifetime. Photographers will also appreciate viewing windows that are one step ahead with padded bars, this will prevent damage to expensive and fragile camera housings. We invite you to see the innovative and efficient designs put to work by Islander Charters.